It is no secret that Russian men had a strong determination. This trait is shared among Russians, even to the ones who are not entirely Russian. Some of these men had a significant contribution to modern history by mastered certain crafts, such as arts, politics, science, and sports. Many of them have gained worldwide recognition, thus granting them a “celebrity” status in the eye of the global citizen. Check out these facts about Russian men if you want to know more about them. Despite their status as “celebrity”, not everyone knows that they had a Russian heritage in their blood. Here’s a list of 8 male celebrity you probably didn’t know had Russian roots. Even though his surname shows the hints of Italian roots, Leonardo DiCaprio actually has a Russian ancestry from his maternal grandmother. His grandmother was a German citizen of Russian descent, named Helene Inderbinken (born as Yelena Smirnova). When he was a kid, he spent some of his time living with his maternal grandparents in Germany. As an actor, producer, as well as an environmental activist, DiCaprio sees his grandmother as his source of inspiration. While in Russia, he attended in an interview, and in there, he stated that he is “half-Russian”. For him, his grandmother is the embodiment of strength and integrity, and he always remembers his grandmother when he feels down and needs some inspirations. 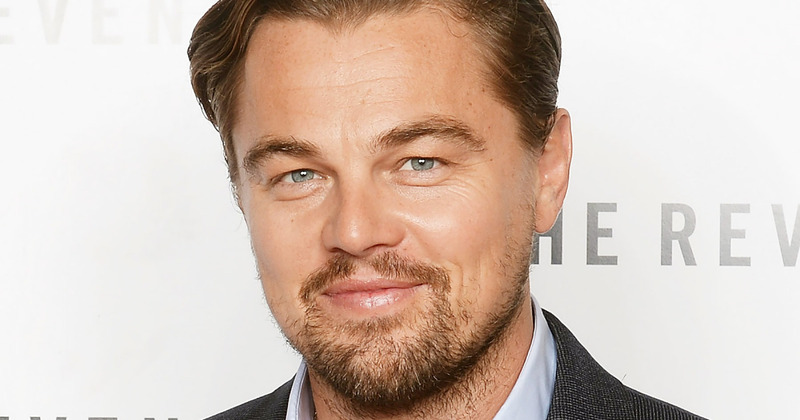 The rumor has it that Leonardo is set to take a role in a film where he plays as a Russian mystic, Grigory Rasputin, who known as the man who wouldn’t die. It seems the role is perfect for him as he has already done a role as an undying man in his previous film named The Revenant, and we do look forward to this upcoming film. If you want to know more about Grigory Rasputin, here you can see more about him and other influential persons in Russia. For those who haven’t know about Jack Black, he is an American actor, songwriter, comedian, and he just started his YouTube gaming channel early this year. Jack Black born in Santa Monica, California, from a British-German father and a Russian-American mother. Both of his parents are aerospace engineers, and his mother, Judith Love Cohen, is one of the influential aerospace engineers and authors. Known for his role in High Fidelity and Kung Fu Panda films, Jack started his career in the entertainment world in 1982 when he starred in a video game ads named Pitfall!. Before that, Black is also active in a drama club back in high school as well as when he was attending his studies at the University of California. Aside from his acting and songwriting careers, he is currently active in hosting a YouTube channel named “Jablinski“. In his channel, he vlogged his daily activities as well as playing and reviewing video games. Speaking about video games, go check these best video games made by Russian developers. Not everyone knows that Harrison Ford had a Russian ancestry mixed with Irish and German within his bloodline. His maternal grandfather came from Minsk, Belarus (once was a part of the Russian Empire), and settled in Germany. As an actor, Ford gained his worldwide fame for his roles in numerous award-winning films, such as Star Wars, Blade Runner, and the Indiana Jones film series. Despite having strong cultural ties both with Irish and Russian, Ford tends to favor them both. In an interview, he stated that as a man, he always felt like an Irish. But when it comes to his career as an actor, his Russian blood starts to take control. Steven Seagal is an American actor, producer, martial artist, and, surprisingly, a musician. Steven was born from a family of Dutch, German, British, and Russian heritage. He had his Russian roots from his paternal grandfather who emigrated to the United States during the Second World War. He also claimed that he has a Mongol blood from his grandfather’s family, and probably that’s the reason why he possesses some Asian features. If you wonder why some Russian look like Asian, click here to learn more. Seagal is also very active in entrepreneurship. In 2005, he opened a business which sells men’s stuff like energy drinks, aftershaves, and weapons. By 2013, he joined a Russian firearms manufacturing company to promote its products in the United States. Aside from entertainment and business, Seagal also put his interest in world politics. He publicly announced that he is a big fan of President Putin. For him, Putin is “one of the greatest leaders in the world”. He also supports Russia’s action in the annexation of Crimea, which in returns, Ukraine officials banned him from visiting the country. In February 2016, Seagal has granted Serbian citizenship due to his constant visits to the country for training the military personel. Following his Siberian citizenship grants, in November 2016, he was also granted Russian citizenship from President Putin. James and Dave Franco born from a Portuguese-Swedish father and a Russian mother. These brothers are quite active in the entertainment world, especially in film production. James has experienced film career way earlier than his youngest brother. He starred in some popular films like The Spider-man Trilogy, and 127 Hours. Meanwhile, his younger brother has just started his acting career in 2011 when he starred in a horror comedy film, Fright Night. After his first film, he gained public recognition incredibly fast and in 2013, he started his second debut on Now You See Me series. From the lines of actors, now we come to the man behind the screens. Michael Bay is a famous American film director and producer, known for his love of explosives. Seriously, you will find lots of explosions in his films, such as Armageddon, Pearl Harbor, and The Transformers series. Bay has Russian heritage from his grandfather. He spent his childhood living with his adoptive parents who owns a bookstore and child psychiatry in California. Bay’s interest in action films and explosives can be traced since he was still a boy. He attached firecrackers on a train miniature and filmed the fiery explosion using his mother’s camera. Suddenly, a small fire started but the fire was put out quickly. From the film industry, now we step into the music. Here we have Michael Bolton, a rock and soul musician from Connecticut, United States. Born as Michael Bolotin (a Russian masculine surname) he anglicized his name into “Michael Bolton”. His Russian ancestry can be traced from his maternal grandmother, who was an English with Russian parents. Even though his true Russian heritage spans across two generations, he is very proud of it. Here is another “Michael” on this list. This guy did not gain his status as “celebrity” through entertainment but through wealth and politics. Currently, Michael Bloomberg is the 8th richest person in the United States and the 9th richest in the world with total net worth reaching up to 51.8 billions US dollars. Few people know about Bloomberg’s Russian ancestry. Both of his parents possess Russian blood from their fathers. His paternal grandfather is a Russian who emigrated to the US, and his maternal grandfather came from a region which today becomes a part of Belarus. Bloomberg owns a global company known as Bloomberg L.P. The company runs its business in financial services, mass media, and software development. Aside from business, Bloomberg is also very active in politics. In 2001, he was elected as the Mayor for New York City for three consecutive terms, representing The Democrats party. There they are, 8 world celebrities that you probably didn’t know had Russia roots. It is important to learn from these figures if you want to be like them. It takes time, efforts, and strong determination to achieve global recognition. Everything starts from you. And also, a good education will help you too! If you plan to continue your study in Russia, check these most favorite universities in Russia for international students.